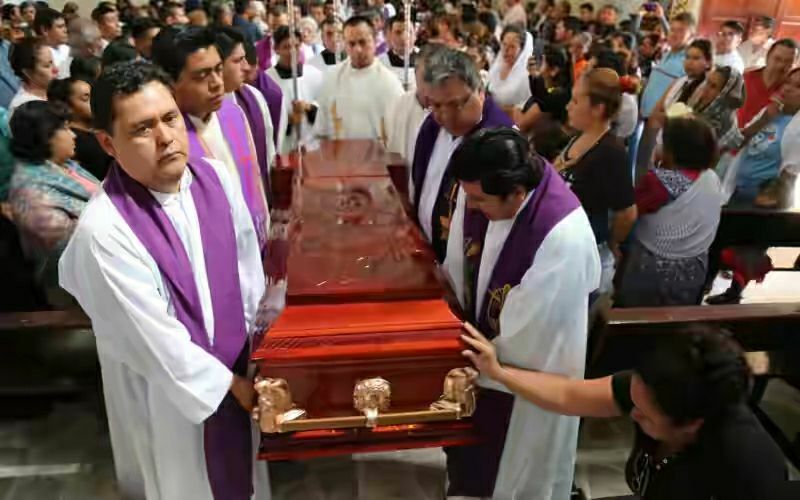 MEXICO CITY, MEXICO (BosNewsLife)-- Mexico was under increasing pressure Monday, February 12, to investigate the murders of two Roman Catholic priests after a prosecutor suggested that the clergy's death could be linked to their association with organized crime. VILNIUS/BUDAPEST (BosNewsLife)-- Thousands of people have gathered in Lithuania's capital Vilnius to attend the official beautification ceremony of Archbishop Teofilius Matulionis, whom became a symbol of persecution endured by Christians when the country was still part of the Soviet Union. CAIRO, EGYPT (BosNewsLife)-- Egyptian police have detained six men after an armed mob stripped an elderly Christian woman and paraded her naked on the streets in an attack in which seven Christian homes were also looted and torched, security and church officials say. CAIRO/ROME (BosNewsLife)-- Egypt's embattled Coptic community on Monday, February 15, marked the one year since video surfaced of the murder of 21 Coptic Orthodox Christians on a beach in Libya. The men were marched in orange suits across the beach, forced to kneel and then were beheaded by Islamic State group militants.